Xeros, the cleantech company based in Rotherham, has signed a ten year contract with Le Farc SA de CV (LEFARC) to convert its re-tanning operations in Mexico to use Xeros' patented polymer technology. Based on the Advanced Manufacturing Park (AMP), Xeros is a Leeds University spin-out that initially focused on deploying its special polymers in the laundry industries. The next focus was the leather tanning industry, followed by the textile sector. In each case, the re-usable beads can massively reduce the amounts of water needed. Targeting the $50 billion leather processing market, the contract follows extensive trials which demonstrated material reductions in process inputs and effluent production, radically improving the sustainability of production whilst maintaining high quality leather output. Xeros signed a similar ten year deal in 2017 with Austrian leather producer, Wollsdorf. 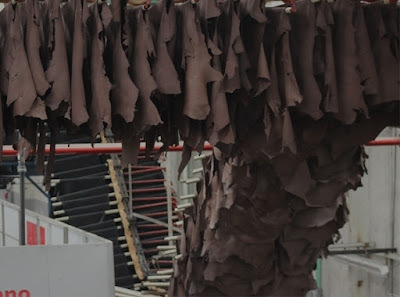 With a weekly production of 5,000 hides, LEFARC is a globally recognised tannery producing leather for shoes, supplying brands such as Timberland and Wolverine. The tannery is located in one of the world's leading tanning centres, supporting the major brands in the shoe and auto industries. It is anticipated that leather produced by LEFARC using Xeros technology will be incorporated in consumer products after March 2019. Mark Nichols, chief executive of Xeros, said: "This contract with LEFARC confirms that our tanning technologies are viable and play a valuable role in the production of leather. In partnership with our customers, we can radically improve sustainability whilst sharing in the value our innovative technology creates. "We have successfully validated our technology through re-tanning trials for over 40 different recipes with multiple tanneries in Europe and Mexico. "The considerable interest we are seeing from leading tanneries is a strong indication of the potential to increase rapidly the deployment of our technology in what is a global scale industry - we expect to secure further contracts into the future." As judged in trials by Wollsdorf, leather produced by Xeros' technology was equivalent to that produced by its conventional process while reducing water consumption by approximately 60% and effluent mass by around 50%. Chemical consumption was also reduced by a material amount. The technology works with existing wooden, stainless steel and polypropylene drums used in the tanning process meaning that expensive new equipment is not required. Xeros works with a tannery's preferred equipment or engineering partner to make the required minor modifications to the drums.